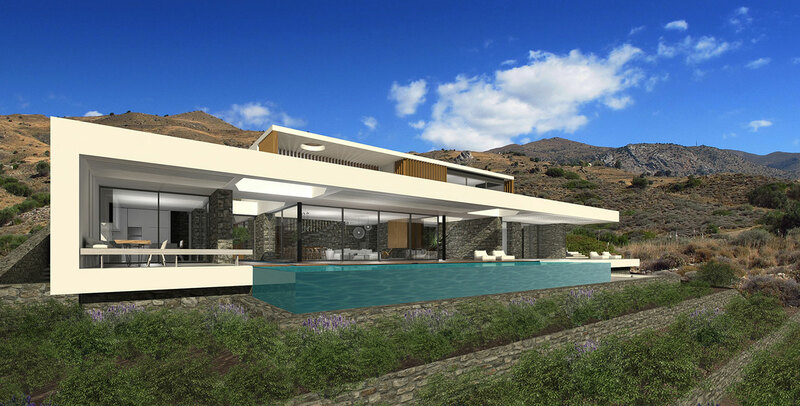 This high end summer house is located along the coastal area of South Crete, a place of unique wild topography. 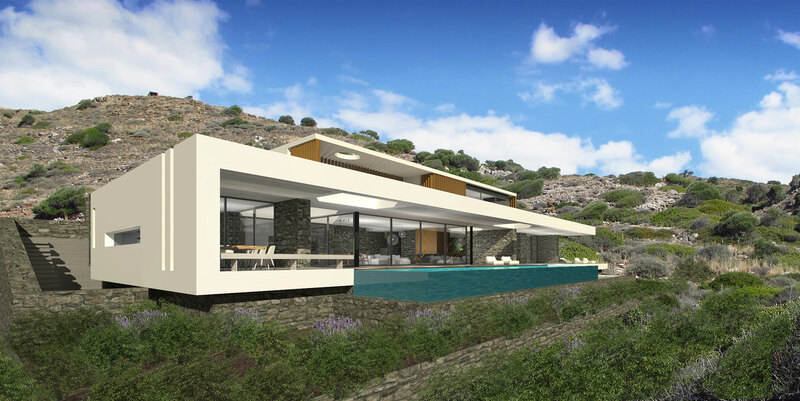 The starting point of the project is to preserve the views of the site, and to integrate the house in its natural surroundings. Through the design, the house becomes a “tray” to contemplate the horizon, allowing one to observe the sea from all the main rooms. 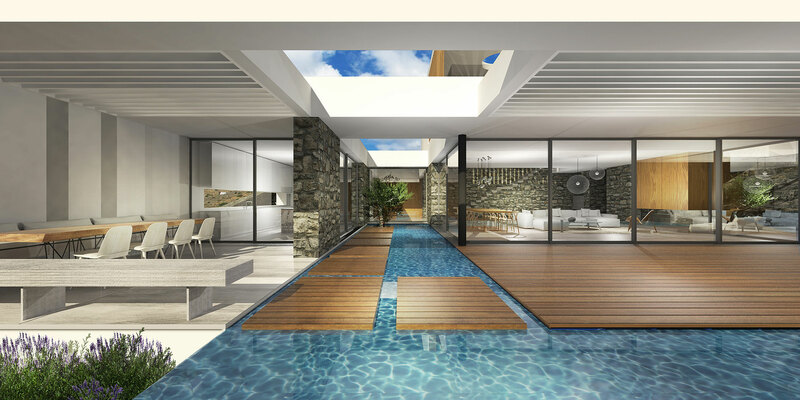 The organization of the plan, in a clear and simple linear arrangement where internal courtyards are carved out of the main volume to thematically divide the common spaces of the house, is the key design directive. 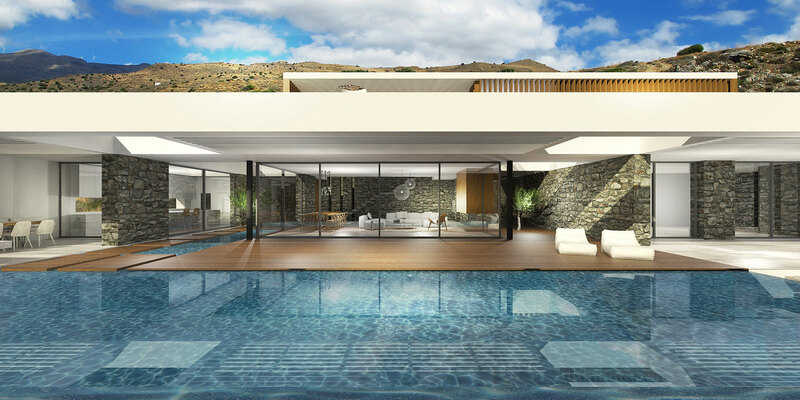 In front of the main volume, there is a large deck and pool which constitute the project´s principal external living space. The aim is to allow the internal spaces to communicate with the outside, sometimes in a free and direct way, other times with relative discretion, depending on the use and atmosphere of each room. On the upper level (master bedroom level), in particular, privacy and light are masked and filtered by wooden panels placed with small gaps in between. 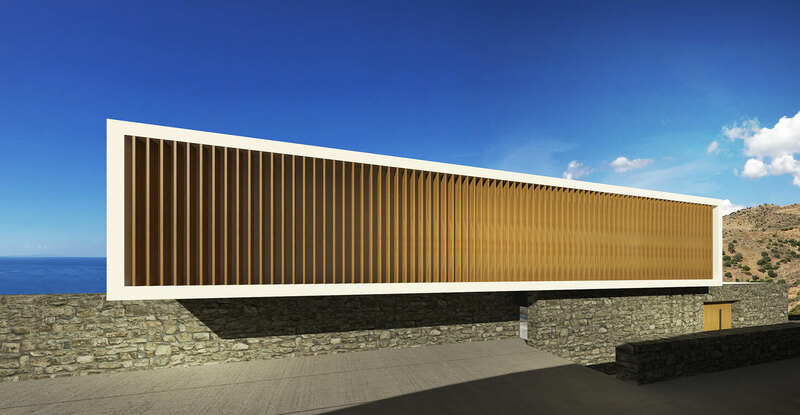 The use of natural materials, such as local stone, and wood create a unique connection with the site’s topography. 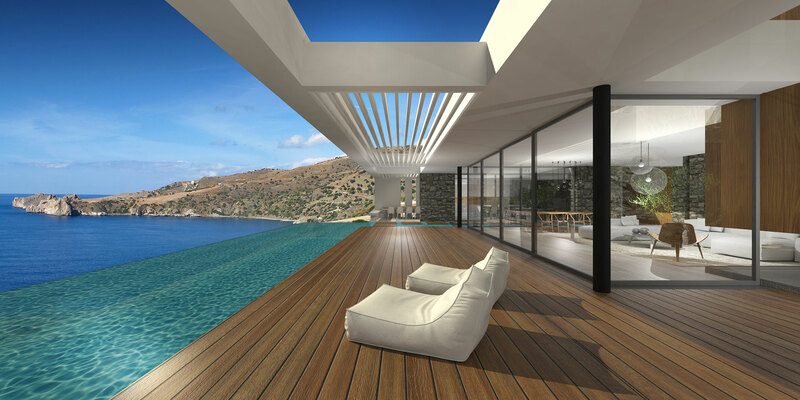 his high end summer house is located along the coastal area of South Crete, a place of unique wild topography. 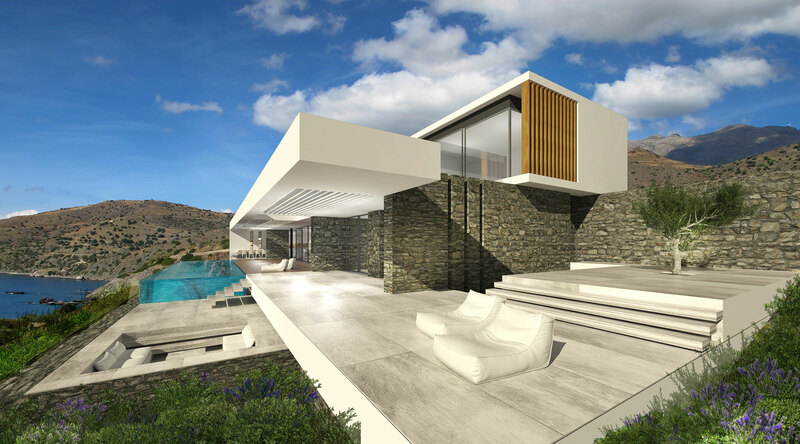 The starting point of the project is to preserve the views of the site, and to integrate the house in its natural surroundings. 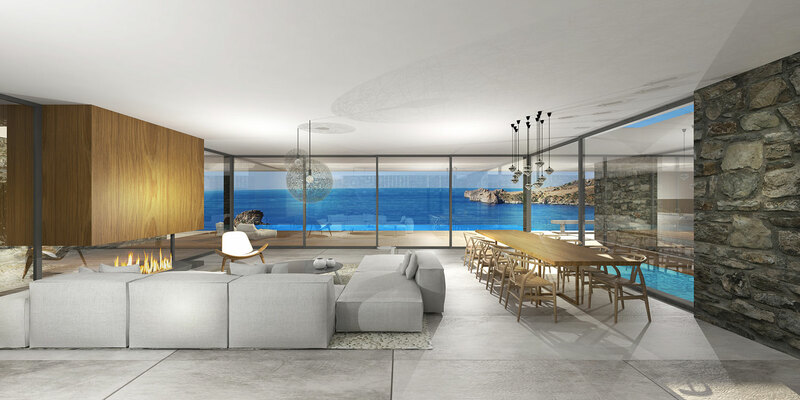 Through the design, the house becomes a “tray” to contemplate the horizon, allowing one to observe the sea from all the main rooms.